My husband and I have recently made one of the biggest decisions of our adult lives: to become homeowners. So scary and so grown up and so logical (?) in this market and with these interest rates. And exciting. Because we found a place we really love, have made an offer, and are waiting to hear back from the bank (we will be until May or so...). I have to admit that I'm a little bit nervous about all the energy moving and becoming a homeowner is going to take. How will it affect my business? How long will it take to get settled in? Will I still be able to give customer service I'm really proud of? I'm trying to not over think it, but also trying to figure out what I can do ahead of time to ensure smooth sailing... :) Any ideas for me? But! The super super fun parts that I'm getting really excited about are: the garden (I have grand dreams for a gray water reclamation project- I am loving reading The Urban Homestead- scroll to the bottom), all the decorating, and. The studio. Because there's a whole room with a whole bank of windows just for me and my ideas. I can't wait. 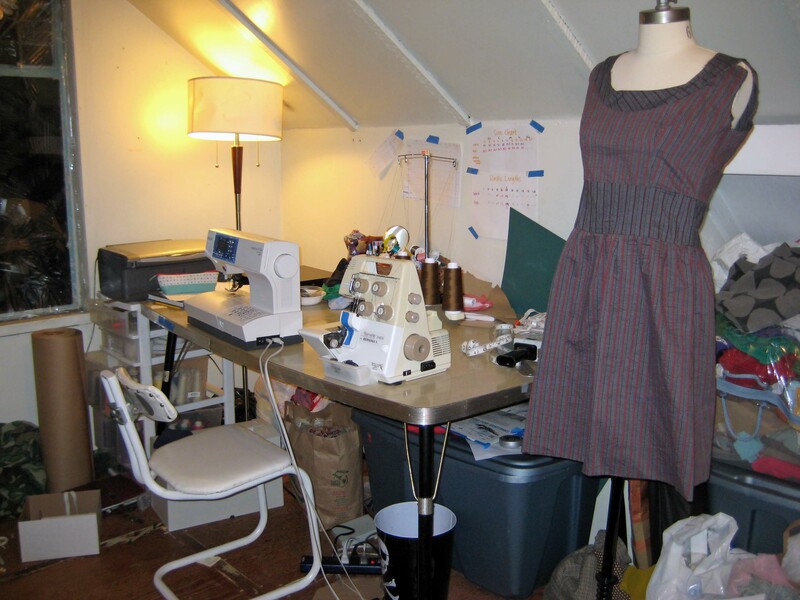 I've made a board on Pinterest with ideas for sewing studios and details I love. So what do you think? I'd love to hear any wisdom you might have about moving or becoming a homeowner. Any ideas for a badass sewing room? Wow Kori, this is big news!! I’m crossing my fingers for great news from the bank. Actually we’re thinking of moving as well, we already live in our own home but it’s time for some change and owning your own place is different here. I’m actually excited of the thought of moving…starting fresh in a new place and maybe have some fresh and better energies…and I have to say that I love packing and unpacking, decorating all over etc.